William Butler Yeats was both poet and playwright, a towering figure in 20th-century literature in English, winner of the Nobel Prize for Literature in 1923, a master of traditional verse forms and at the same time an idol of the modernist poets who followed him. William Butler Yeats was born into a wealthy, artistic Anglo-Irish family in Dublin in 1865. His father, John Butler Yeats, was educated as an attorney but abandoned the law to become a well-known portrait painter. It was his father’s career as an artist that took the family to London for four years during Yeats’ boyhood. His mother, Susan Mary Pollexfen, was from Sligo, where Yeats spent summers in childhood and later made his home. It was she who introduced William to the Irish folktales which permeated his early poetry. When the family returned to Ireland, Yeats attended high school and later art school in Dublin. Yeats was always interested in mystical theories and images, the supernatural, the esoteric and the occult. As a young man, he studied the works of William Blake and Emanuel Swedenborg and was a member of the Theosophical Society and Golden Dawn. But his early poetry was modeled on Shelley and Spenser (e.g., his first published poem, “The Isle of Statues,” in The Dublin University Review) and drew on Irish folklore and mythology (as in his first full-length collection, The Wanderings of Oisin and Other Poems, 1889). After his family returned to London in 1887, Yeats founded the Rhymer’s Club with Ernest Rhys. In 1889 Yeats met Irish nationalist and actress Maud Gonne, the great love of his life. She was committed to the political struggle for Irish independence; he was devoted to the revival of Irish heritage and cultural identity—but through her influence, he did become involved in politics and joined the Irish Republican Brotherhood. He proposed to Maud several times, but she never consented and ended up marrying Major John MacBride, a Republican activist who was executed for his role in the 1916 Easter Rising. Yeats wrote many poems and several plays for Gonne—she earned great acclaim in his Cathleen ni Houlihan. With Lady Gregory and others, Yeats was a founder of the Irish Literary Theatre, which sought to revive Celtic dramatic literature. This project lasted only a couple of years, but Yeats was soon joined by J.M. Synge in the Irish National Theatre, which moved into its permanent home at the Abbey Theatre in 1904. 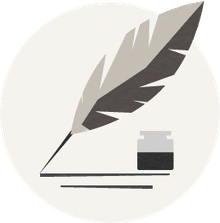 Yeats served as its director for some time and to this day, it plays an active role in launching the careers of new Irish writers and playwrights. In 1913, Yeats became acquainted with Ezra Pound, an American poet 20 years his junior who had come to London to meet him, because he considered Yeats the only contemporary poet worth studying. Pound served as his secretary for several years, causing a ruckus when he sent several of Yeats’ poems to be published in Poetry magazine with his own edited changes and without Yeats’ approval. Pound also introduced Yeats to the Japanese Noh drama, on which he modeled several plays. At 51, determined to marry and have children, Yeats finally gave up on Maud Gonne and proposed to Georgie Hyde-Lees, a woman half his age whom he knew from his esoteric explorations. In spite of the age difference and his long unrequited love for another, it turned out to be a successful marriage and they had two children. For many years, Yeats and his wife collaborated in a process of automatic writing, in which she contacted various spirit guides and with their help, Yeats constructed the philosophical theory of history contained in A Vision, published in 1925. Immediately after the formation of the Irish Free State in 1922, Yeats was appointed to its first Senate, where he served for two terms. 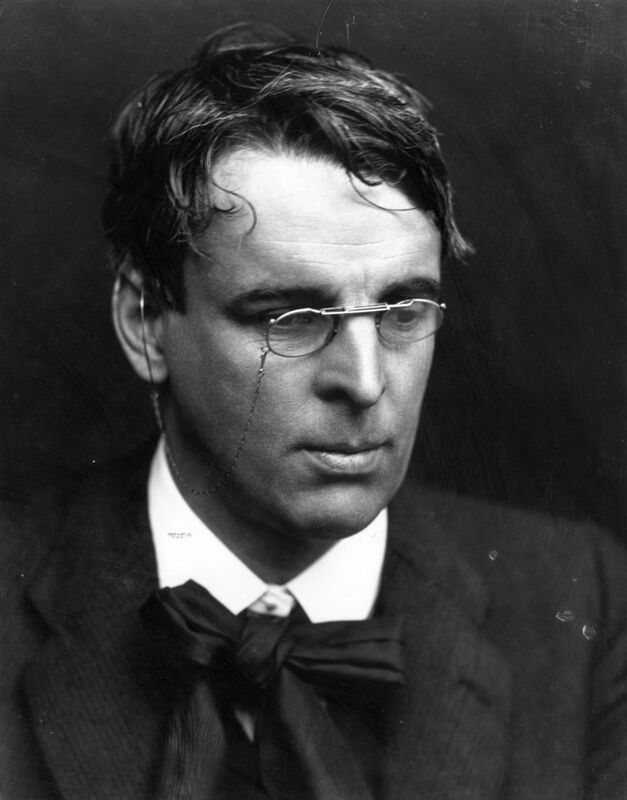 In 1923 Yeats was awarded the Nobel Prize in Literature. It is generally agreed that he is one of a very few Nobel laureates who produced his best work after receiving the Prize. In the last years of his life, Yeats’ poems became more personal and his politics more conservative. He founded the Irish Academy of Letters in 1932 and continued to write quite prolifically. Yeats died in France in 1939; after World War II his body was moved to Drumcliffe, County Sligo.